The thing that I liked about this spot was the aggressive looking palm tree and its long cast shadow. 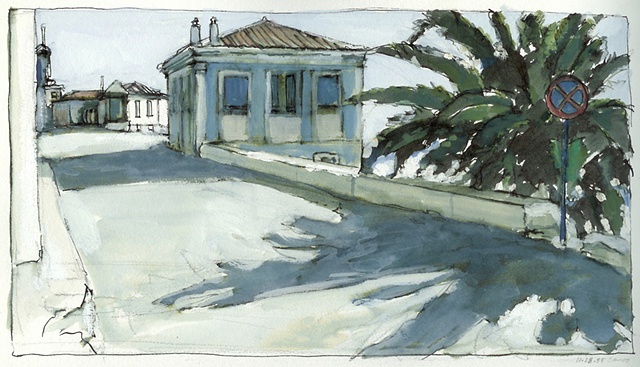 The reflected light in the shadow and on the small house in the middle was a nice challenge to draw. I also liked the pop of white on the building in the distance. The do not do “something” sign was also pleasantly in conflict with the tree, exerting pressure on it.